The Village Council met during the summer of 2014 and developed a list of Action Items to be addressed in 2015 and 2016. Action Items are used to determine Council priorities and to guide staff work plans and the preperation of the annual operating budget. Implementation of the high priority action items will occur over the next 18 months and these will be given highest priority to ensure completion within the established timeline. Medium priority items will be acted on throughout the year and the Village will take opportunities to move forward on as many projects as possible. 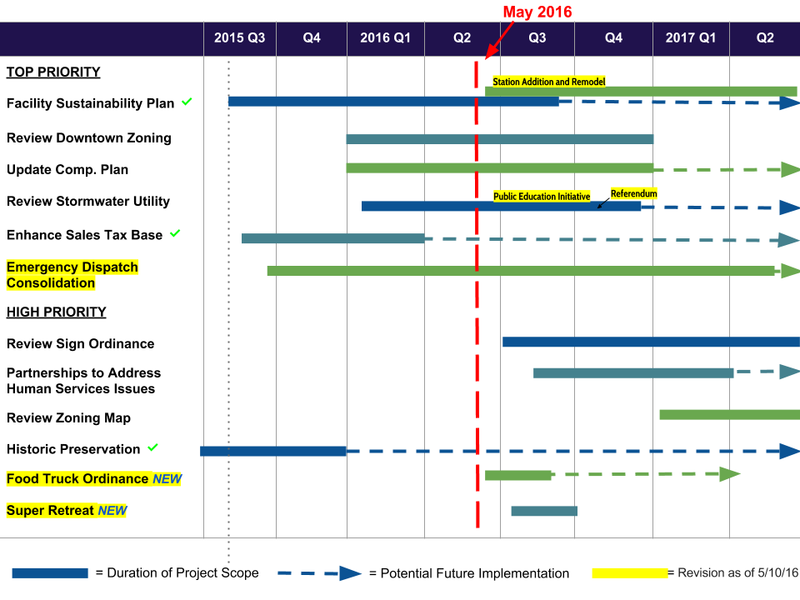 The graphic below shows a tentative timeline for completion of the various action items. Detailed reports on each item can be found at the bottom of the page.